Phoenix JR.™ 123 | Strobes & Beacons | Adams Industries, Inc.
Phoenix JR.™ 123 (NSN: 5854-01-618-0390) is an extremely rugged and low cost Infrared marker beacon. The Phoenix JR.™ 123 beacon was principally designed as an individual Combat Identification marker employed to minimize fratricide (the inadvertent destruction of battle field assets by friendly forces.) It can also been used as a vehicle ID marker, drop zone indicator and perimeter marker. Designed with the same functionality as the Phoenix JR.™ it has been equipped with a spring clip for easy attachment to belts, straps, clothing and equipment. Designed to use a CR123 Battery, the JR123 is 50% smaller and lighter than the Phoenix JR. When not in use, the CR123 battery can be stored within the unit by installing the battery upside-down. Phoenix JR.™ and the war on terrorism. 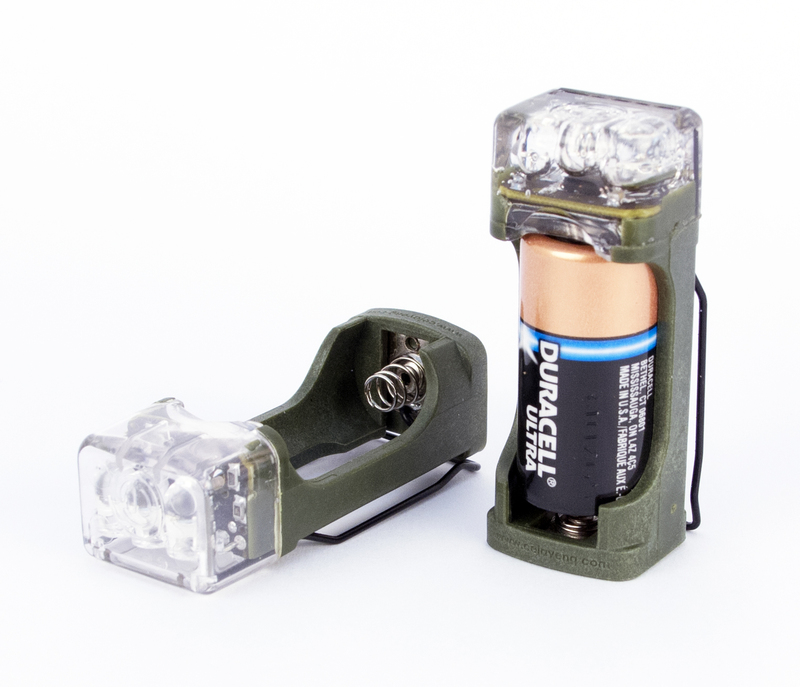 Since its introduction in 1984, the Phoenix JR.™ (Firefly)™ beacon has become the world standard for covert signaling and electronic combat identification of military, law enforcement, SWAT and homeland security assets. It has been utilized by American and coalition forces for combat identification in theatres of operation such as Kosovo, Bosnia, Somalia, Afghanistan and Iraq. These beacons have multiple uses in combat and other operations for marking personnel, vehicles, pathways and locations. They incorporate a flash rate that was specified to prevent confusion with small arms fire.